We would like to invite you to participate at international conference “LEAP Summit”, which will be held in Zagreb, Croatia from 11th till 13th of May, 2017. LEAP Summit is the biggest conference for youth (young entrepreneurs, students, NGO leaders and change-makers) in Southeast Europe. Last year LEAP has gathered more than 1,100 delegates from 30 different countries, and more than 50 speakers, from companies such as IBM, Microsoft, Google, P&G, Deutsche Telekom, Disney and many entrepreneurs and investors. Primary focus of the conference is on themes connected to innovation, IT, entrepreneurship and leadership. 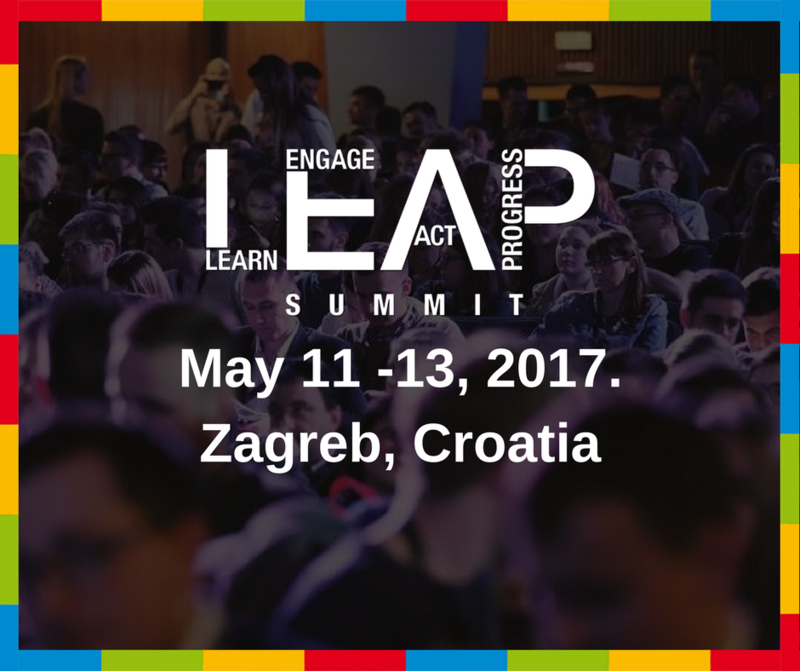 LEAP 2017 is organized by non-profit organization “Croatian Office for Creativity and Innovation”, and under the patronage of The President of the Republic of Croatia, Mrs. Kolinda Grabar-Kitarović. We are proud to say that LEAP Summit 2017 will be even better than LEAP Summit 2016. In 2017, it will gather more than 2,000 young leaders from various countries and host more than 60 world-renowned speakers. We are calling all change-makers and young leaders to leap into action and join us this May in Zagreb. Looking forward to see you in Zagreb!